India’s popular 2-wheeler maker, TVS Motor in order to bring back focus to commuter segment, will be bringing back the popular Victor motorcycle brand in India. The two wheeler commuter segment is ever growing in India and it can where bikes in huge volume gets sold each year. TVS Motor with the help of its popular “TVS Victor” brand wants to strengthen its portfolio. The fresh new Victor brand is expected to be launched on January 20. As we know, the 200cc version of Apache – TVS Apache RTR 200 is scheduled to be launched on January 20. The launch of TVS Victor shall also happen along with Apache RTR 200 4V on January 20th – a trusted source, AutocarIndia has reported. 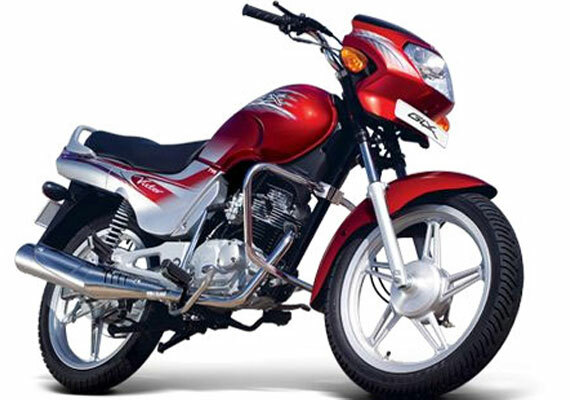 The first generation of TVS Victor was launched in the year 2001 and it is a feather on the cap of TVS Motor, as it is the first bike that was indigenously designed and manufactured by the company. TVS Victor is expected to be positioned just above the TVS Star City+ and will be portrayed as a premium offering. The all new Victor from TVS Motor will very likely share the powertrain from TVS Star City+ and it is going to be positioned above it in terms of value as well as pricing. The Victor model is intended to increase the company’s market share in commuter segment, which is currently clocking at 17% – Thanks to these 3 models – TVS Max4R, the TVS Sport and the TVS Star City+. The competition is tight in the commuter segment as well. Some of the TVS’s competitors including Hero MotoCorp and Honda Motorcycle & Scooter India (HMSI) already offers a wide and updated range of products in this category whilst Bajaj Auto is pretty active for the bikes that are over 125 cc. The all new TVS Victor is expected to improve the current commuter segment scenario of TVS Motor.